There’s a funny thing about Caillou (the bald-headed little boy that is the main character of the Caillou cartoon) kids love him and parents …well let’s face it, parents usually hate him. But one thing both parents and kids can agree on is wondering: why the heck is Caillou bald? 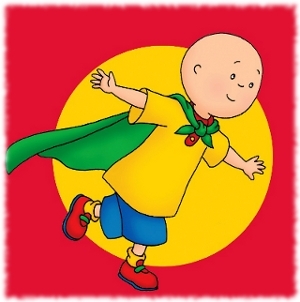 Longtime blog reader Jazzlenne requested a story on the topic of Caillou and since we’re doing a lot of urban legends this week I figured we’d look into the biggest urban legend surrounding the show, which centers around the mystery of why Caillou is bald. His parents and sister all noticeably have lots of fluffy hair, yet he doesn’t seem to have a single hair on his own head. This has lead to widespread urban legends that there’s a hidden story to the show and that Caillou is bald because he has cancer. There are even many parents that won’t let their kids watch Caillou because they don’t want them watching a show about a kid with cancer. But what is the hidden story, and is there actually any truth to it? The most popular Caillou urban legend tells the story of a boy named Caillou who has cancer and is going through treatments that have made him bald. The reason his parents let him get his way all the time (even if he’s being whiny or bratty) is because they know he’s ill and they just can’t bear to tell him “no”. Even though he’s young, Caillou is aware of his condition and tries to cope with the situation by using one of the strongest tools a child has: his imagination. You see, he’s not sure if he’ll be able to actually grow up so he uses his imagination to go on adventures and experience all the different things he could be. Some very dark versions of the Caillou urban legend say he’s already died, and that’s why the grandmother is the one telling stories about his life. She tells the stories to keep the memory of her grandson alive. 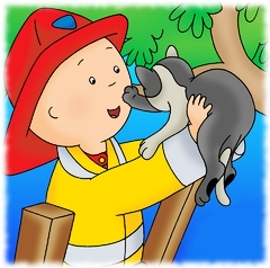 No matter which version of the Caillou urban legend you hear though it always centers on him having cancer. So is there any truth to this theory of Caillou having cancer? The people involved with the show and the book are very insistent that no, Caillou doesn’t have cancer. In fact reading through their writings about it they seem downright defensive about the topic, often making it the first thing they mention about the show. 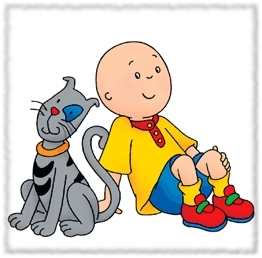 They say the reason Caillou is bald is because in the books he was at the age when kids don’t have hair yet, and when they made the cartoon they wanted him to look the same as in the books –right down to the very bald head. But they had no idea what a huge controversy that decision would start up amongst both parents and kids. Sometimes the story is changed and people from the show will say that Caillou is bald to “represent all kids”. That explanation sounds pretty forced and more like the show is trying to put a positive spin on the Caillou baldness controversy that has caused many parents to ban their kids from watching Caillou. As for me, I say if kids can’t stop imagining Caillou is bald because he has cancer and still want to watch the show then fine. It’s kind of like I hope no parents out there would keep their kids from playing with another child simply because the other child had cancer. Thanks for your comment, I’m happy to hear that Caillou has helped you so much! 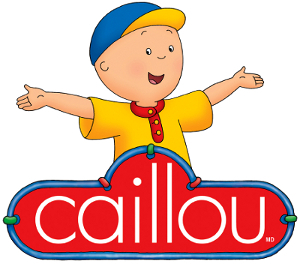 I think people out there will hear what you have to say about Caillou. Much love and strength to you! I remember not liking the show when I was younger (5 through 10) but I couldn’t figure out why for the longest time. Now as a mom I’m watching it with my kiddo and I’m not having near the issues I did then. So I’ve gone digging to try and figure out why I didn’t like it as a kid. The only thing I can figure is his voice, and the name of the show. His voice is whiny even when he isn’t. Even now his voice is my biggest issue with the show, so it makes sense I wouldn’t have liked it then. I always assumed he had cancer, though, but that didn’t bother me so much. I mean, it’s cancer, and thanks to all the ads for children’s hospitals I knew it happened. The way he treated his sister also annoys me. My mom never allowed any of that from my brothers or me. She didn’t force us to love each other, we did mostly, but she never let us act snobby towards the younger ones. But thank you for this article, I have enjoyed the read, and the comments. Thanks, glad you liked the article :). Your story is proof that yes kids can handle the idea of a cartoon character having cancer and it won’t wreck their lives. I don’t know why some parents would ban their kids from Caillou when they thought he had cancer, instead of using it as an opportunity to teach their kids empathy and important things like that. Why is there two different versions of each story? In one version, the grandmother is telling stories and not in the other. I chose to highlight the most popular and interesting ones. Hope this helps, any more ?’s just ask me.